Take beauty on the go and look stylish while doing so! Whether you’re globetrotting or touring closer to home, you’ll love these stylish cases for carrying cosmetics, jewelry, first aid supplies, and more. In this class, you’ll learn how to sew a zipper on a curved edge — another new zipper installation style. 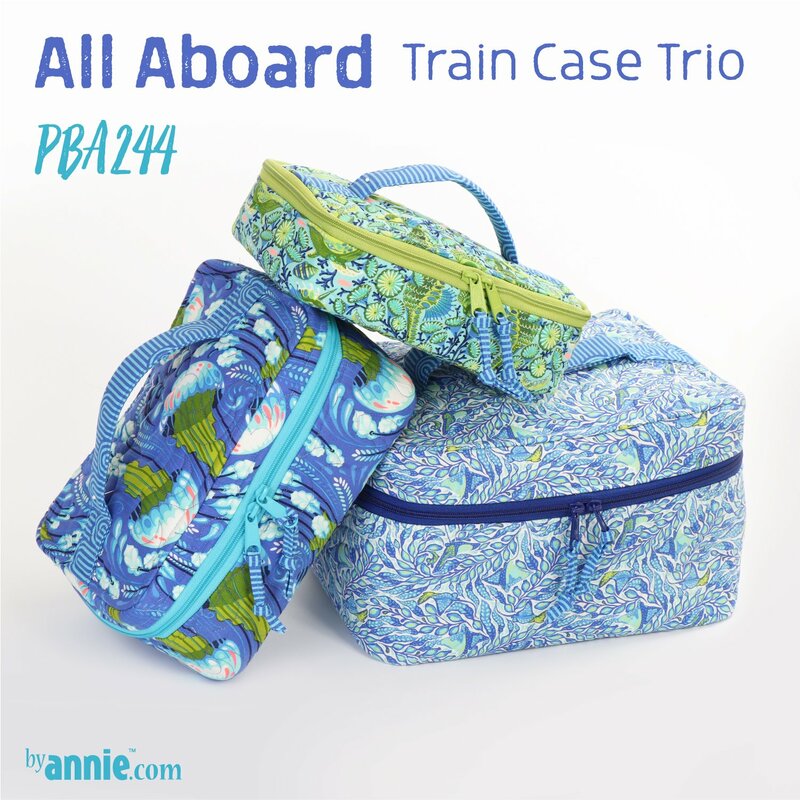 Discover how to finish the edges and stitch the binding to the bag to refine the shape of the train case. Though this is a bit more difficult, you've had lots of practice by now, so feel confident that you can accomplish this step with ease. Practice really does make perfect!